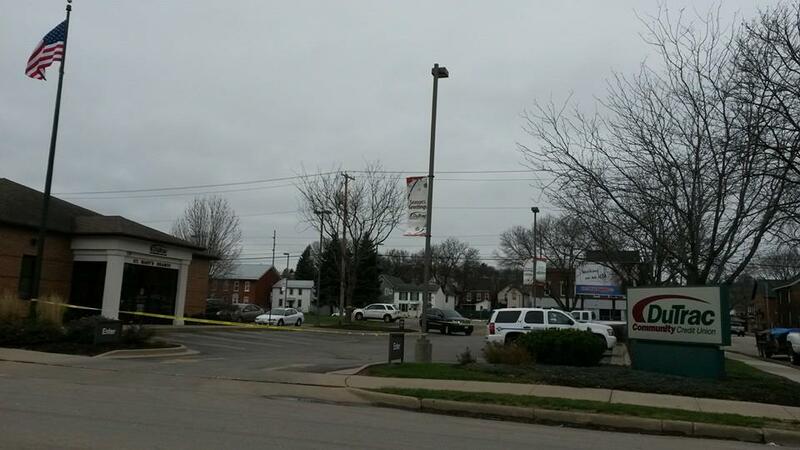 On November 27th, 2015, at approximately 10:25 a.m., Dubuque Police responded to a robbery at DuTrac Community Credit Union at 380 East 14th Street. Upon arrival officers were informed that a male suspect entered the credit union, approached a teller and passed a note indicating he was armed with a weapon and demanded money. The teller complied and the suspect fled with an undisclosed amount of money. The suspect is described as being approximately 5’06”-5’09”, medium build, medium skin tone/complexion, dark brown or black goatee, wearing a grey coat, grey stocking hat, tan pants, black shoes and carrying a black backpack. No weapon was displayed and no one was injured. The investigation remains ongoing. If you have any information on this incident or others, please call the Dubuque Police Department at 563-589-4415. You can also submit tips anonymously online at www.cityofdubuque.org/police or through the MyDBQ smartphone app available at www.cityofdubuque.org/MyDBQ.